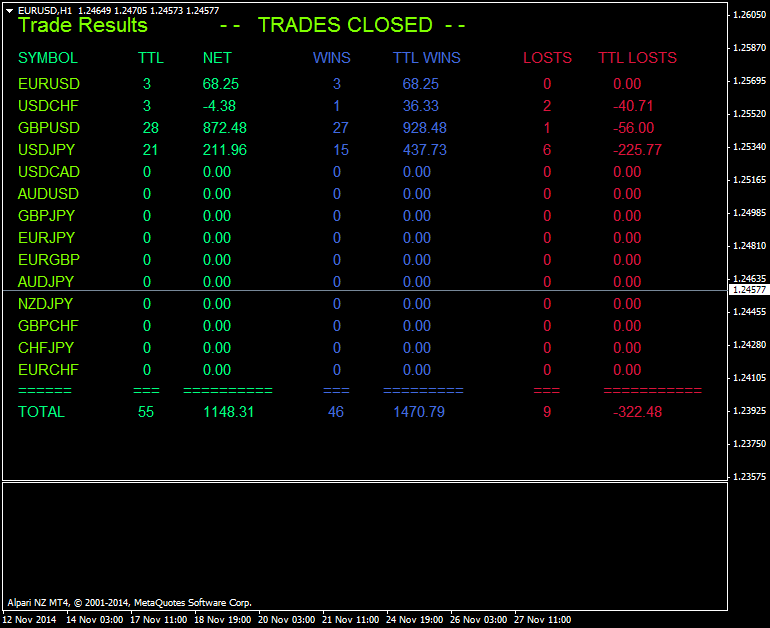 I Would like to share an EA that will display trade result on chart. This EA will display Symbol trade, total trade, nett profit, number of total wins, total wins in profit count, number of total lost, total lost in profit count. 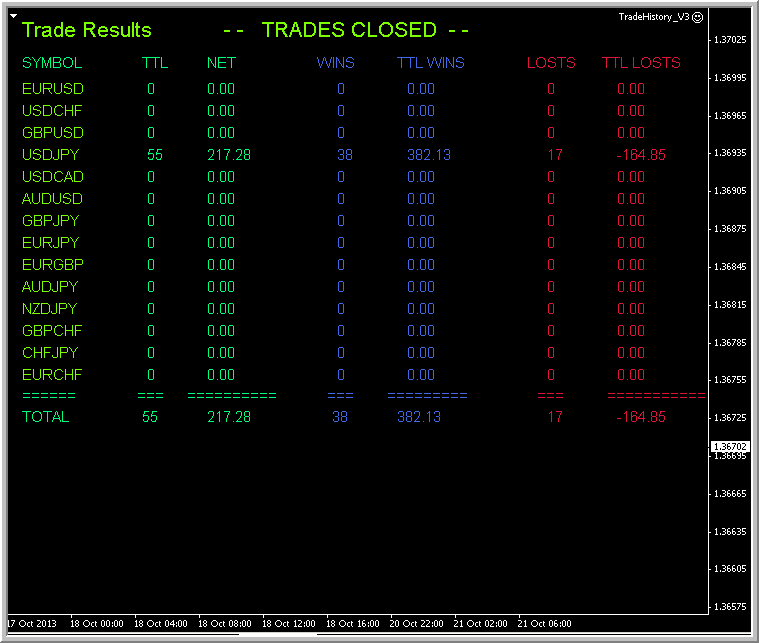 The symbol list can be change according to your favorite currency pairs, as well as the colors option. 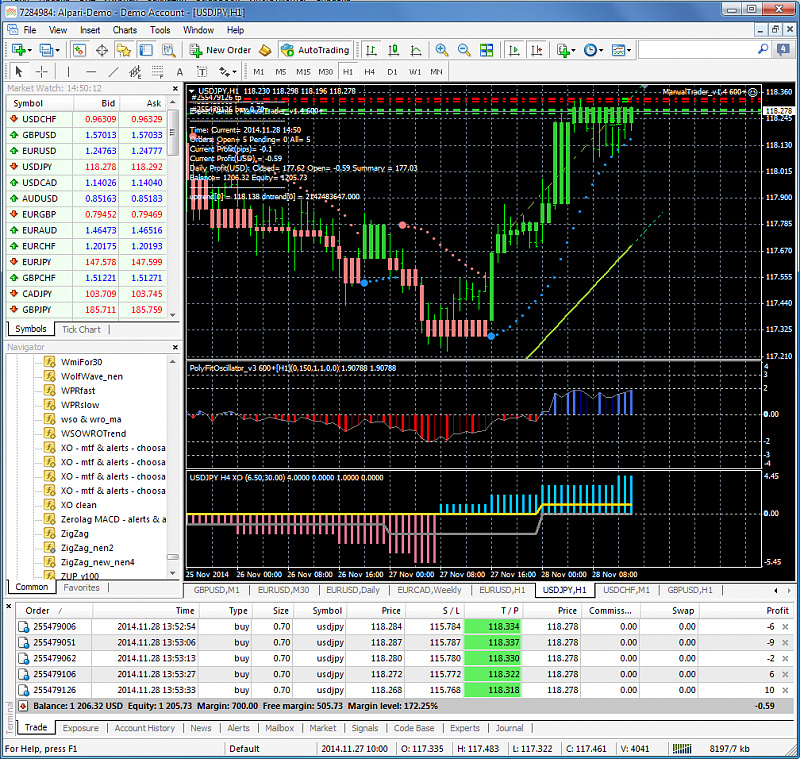 With this EA we can easily view our past trade result without scrolling up & down the MT4 terminal, especially we trade many currency pairs. This EA wasn't mine, it was created many years ago from other forum. newdigital, Fmfx and mi@ndw like this. Thanks a lot. 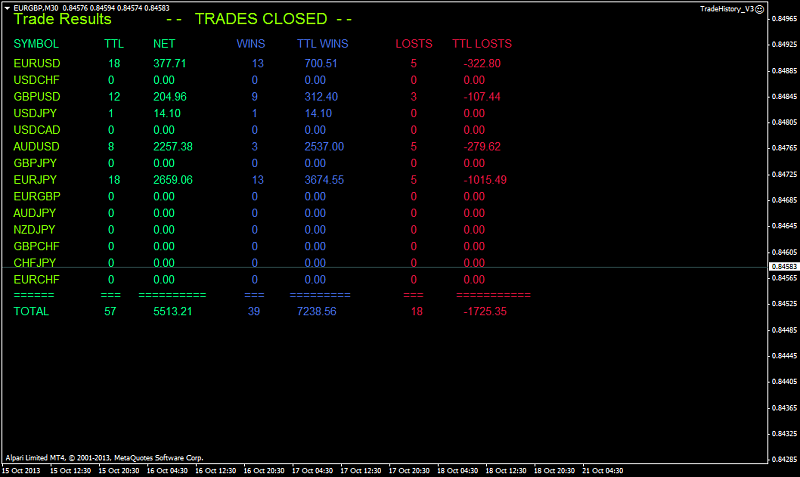 It is good tool (EA). 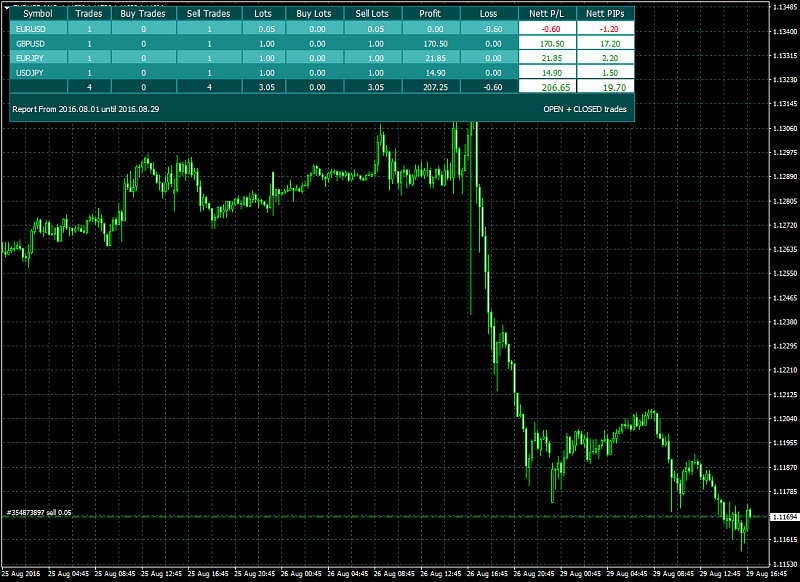 This EA can be improve, to show initial deposit and current equity below the trade result table, it will be much better. Maybe Igorad can help. 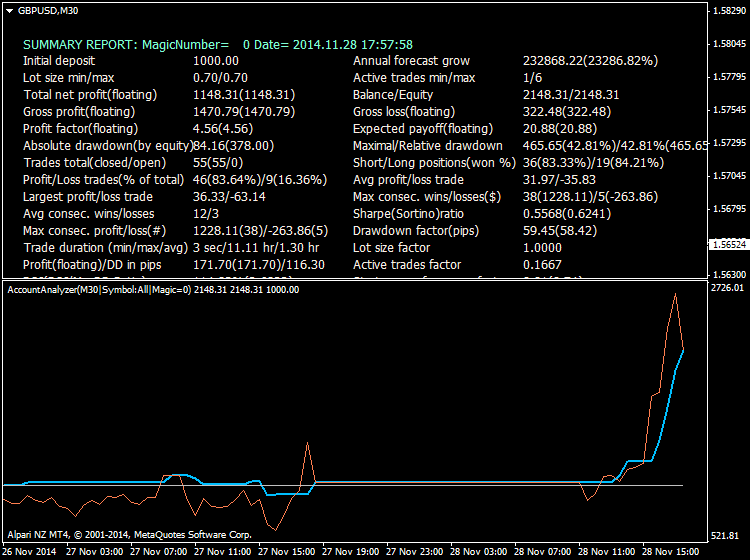 Just want to update this thread with another analytical tools to monitor your trading result. 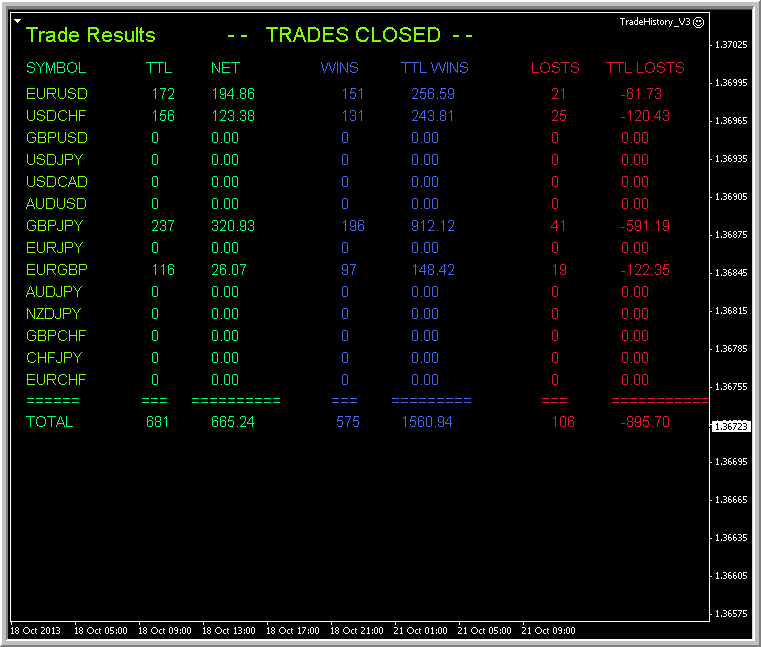 This tool can display all your trading result whether closed trade or on going trade. 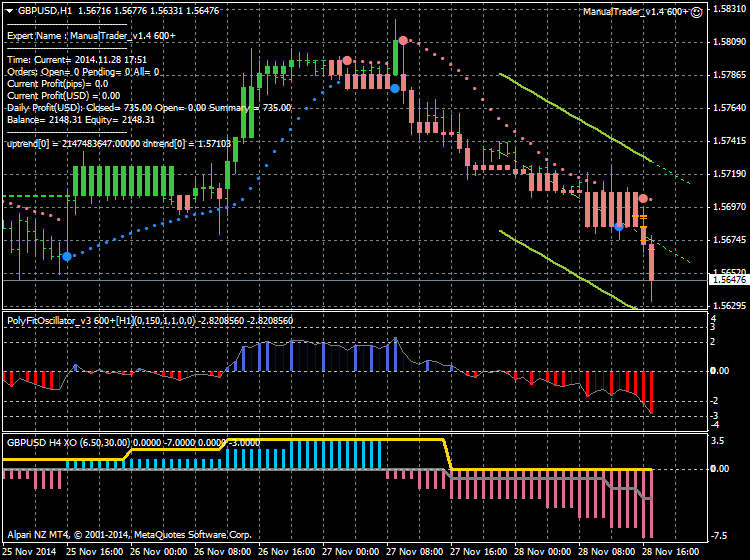 Just have a look at the setting of the indicator to suit you need. I'm not the original coder, found it from other forum. Hopefully its useful. 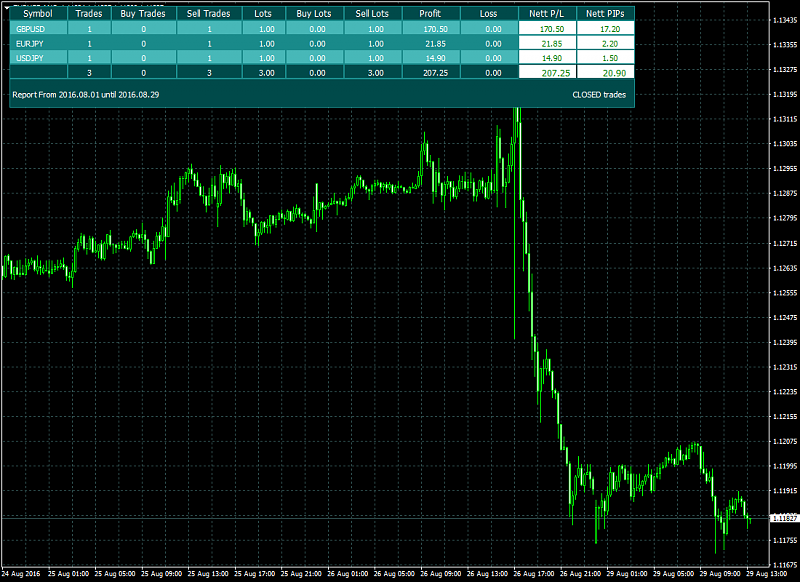 I have tested it and work with latest build of MT4. 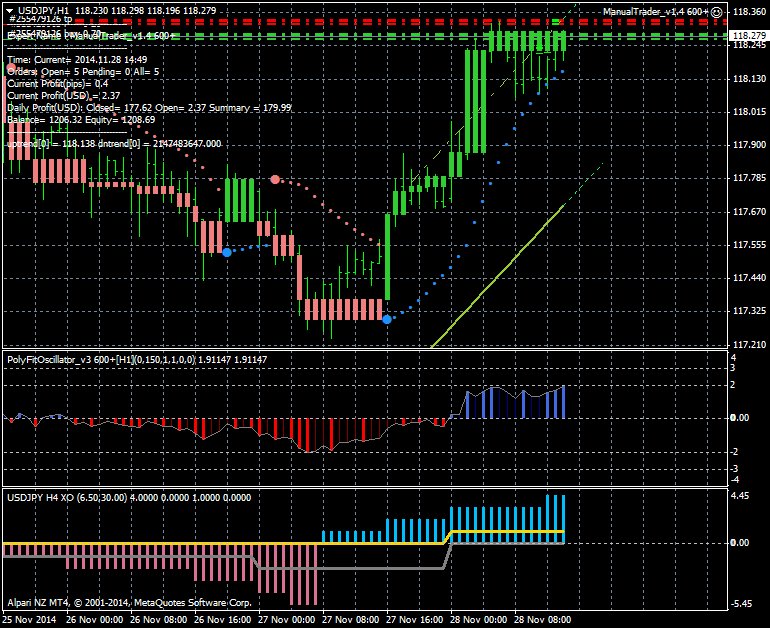 Just place the indicator into the indicator folder and drag it to any chart.